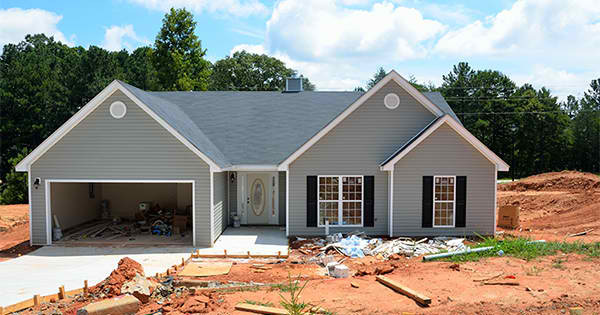 According to the latest report from the US Census Bureau and the Department of Housing and Urban Development, newly constructed home sales jumped 5.7% month-over-month and 21.6% year-over-year to an annual pace of 552,000. "Today's report indicates the release of pent-up housing demand as the overall economy strengthens, consumer confidence grows and mortgage interest rates remain low. The housing market should continue to move forward at a modest but more persistent pace throughout the rest of 2015." Regionally, the Northeast led the way with a 24.1% increase in new home sales, followed by the South (7.4%) and West (5.4%). Sales in the Midwest declined by 9.1%. The inventory of new homes for sale currently sits at a 4.7-month supply down slightly from July (4.9) and significantly from August 2014 (5.4). Buyers who purchased a new home were willing to spend more to get the amenities that they wanted. The median home price for new homes was $64,000 higher than existing homes in August at $292,700! Approved applications for building permits increased 3.5% over July and 12.5% over this time last year. Permit applications are seen as a strong indicator of builder confidence in the market. Buyer demand continues to outpace inventory of homes for sale. If you are thinking of selling your house this year, now may be the time to list before builders have a chance to replenish the supply of new homes.